Watch new music videos from Monument of a Memory and the Northern—plus, don’t miss Within The Ruins on tour. Check out the news you might have missed today below! Tool guitarist Adam Jones shared another video update from the studio. The band is recording their first full-length effort since 2006's 10,000 Days. 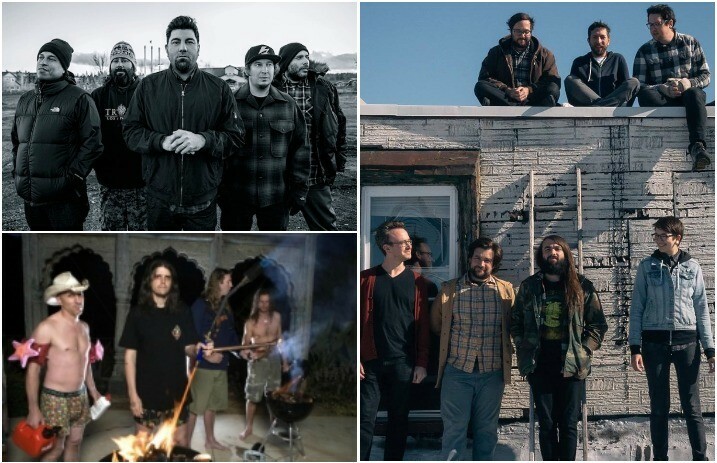 TWIABP have shared a live video of their songs “Marine Tigers” and “Fuzz Minor.” The tracks are taken from the band's newest album, Always Foreign. You can get your copy of the album here! The band will be hitting the road with Pianos Become the Teeth starting tomorrow. For a full list of dates and to purchase tickets, you can go here. There’s been speculation in recent weeks that the Deftones are working on writing new music. With no official word yet, Instagram snaps of the members in the studio have us all wondering if new music will be coming sooner rather than later. Starset shared an acoustic video of their song “Ricochet.” You can purchase your copy of the single here. Within The Ruins announced summer shows with Phinehas, Great American Ghost and Sentinels. Tickets go on sale this Friday at 10 A.M. local time. Check out the dates below. The Northern shared a music video for their song “Samsara.” The track is taken from the band’s newest album, Solstice, out now. You can purchase your copy of it here. The band will be hitting the road next month to do a headlining run with Pangaea. For a full list of dates and to purchase tickets, you can go here. 3Teeth signed with Century Media Records. Monument of a Memory unleashed a music video for their song “Cold Eyes.” The track is taken from the band’s newest EP, Ex-Mortis, out now. You can get your copy of it here.